888Poker has scheduled a $500,000 guaranteed “Super Whale” tournament for Sunday, giving players the opportunity to share in five times the usual guarantee. The “Whale” and “Baby Whale” are tournaments that appear on alternate weeks in 888Poker´s regular Sunday tournament line-up. The Whale has a $600 buy-in and a $120,000 guaranteed prize pool, while the Baby Whale has a $320 buy-in and a $100,000 guaranteed prize pool. This coming Sunday (January 15), it would normally be the turn of the Baby Whale to take its place in the tournament schedule. However, 888 poker has made the decision to replace the event with a Special Edition Super Whale tournament and guarantee the prize pool at $500,000. Considering that the Baby Whale regularly attracts 300-400 players, the likelihood is that there will be a substantial overlay in Sunday´s Special Edition Super Whale – both in the feature tournament itself and in the satellites and mega-satellites feeding into the target event. 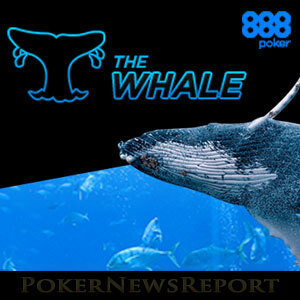 Despite its significantly increased guarantee, the Super Whale tournament will have the Baby Whale buy-in of $320. 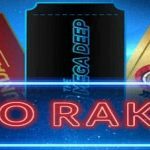 It will get underway at the usual time of 7:00pm (GMT), with players receiving a starting stack of 15,000 chips to negotiate the twenty-minute levels. That is where the similarities between the Baby Whale tournament and the Super Whale tournament end. The usual late registration period of 180 minutes has been extended to 250 minutes and, rather than enjoying its popular freezeout format, players will be allowed up to four re-entries during the late registration period. This will not only change the strategies employed at the tables, but the additional chips in play will also extend the conclusion of the tournament until late on Monday morning. I’m pretty sure I will play the Special Edition because it will attract a lot of recreational players. My strategy will be the same strategy I apply for deep-stacked tournaments with good structures – just be tight before antes come into play, wait for my spots, and then start to open up more while using my tight image to steal pots. We will see how it will work this time. In order to qualify as many players as possible for Sunday´s Super Whale event, 888 Poker is hosting satellites around the clock. These typically have a $30 buy-in and are played at turbo-speed. Players who want to take their qualification at a more leisurely pace should consider the mega-satellite scheduled for 4:00pm (GMT) on Sunday afternoon as this has a slower structure and guarantees a minimum of fifty seats in the target event. 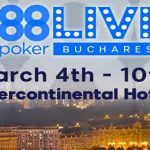 A second mega-satellite guaranteeing twenty-five seats into Sunday´s Special Edition Super Whale is also planned for players who make a deposit into their 888Poker account using a dedicated bonus code. The amount of the qualifying deposit varies from player to player, so it is a good idea to keep an eye on your email inbox for details of how and when you can take advantage of a low buy-in satellite to qualify for Sunday´s special event. It is also a good idea to keep an eye on your email inbox for special offers relating to 888Poker´s forthcoming Super XL Series. 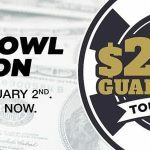 The series kicks off next Thursday (January 19) with a $100,000 Opening Event, and runs through to Sunday January 29, when the feature tournament is a $1.5 million guaranteed Main Event. Players are being offered two free tickets to play in Super XL satellites, and can win more satellite entries by completing missions sent by email to players every day. If missions is your thing, you might also like to take part in 888Poker´s latest promotion – “Treasure Quest”. In the Treasure Quest promotion, each player is given a map with twenty-five missions to complete. Cash prizes and freeroll entry tickets are awarded for each mission completed, and players can win additional prizes for completing any line of five missions or for completing the Treasure Quest map. Should the idea of playing in tournaments with the potential for a large overlay or taking advantage of undersubscribed satellites appeal to you, there are few better places to play this month than at 888Poker. There is likely to be plenty of super value in the Super Whale tournament because of the short notice provided to players, and in the Super XL Series – as PokerStars´ TCOOP and Party Poker´s PowerFest Series are running at the same time. If you have not already made your first deposit at the site, you can also get super value from our exclusive 888Poker bonus offer. 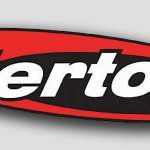 Create your account by following the links on this page to the site and you will be eligible for a free poker bonus of up to $88.00 depending on your location. When you make your first deposit, you will also be entitled to a 100% match 888Poker bonus up to $600. This offer is not available directly through the site (usual bonus limit is $400), so visit 888Poker today and get super-optimistic about the super value available at 888Poker.